إذا كنت تبحث عن فندق بموقع جيد في ملبورن، فقد وجدت ضالتك في Gem Apartments . لا يبعد الفندق كثيراً عن مركز المدينة، فهو يقع على بعد 0.5 kmKm منها. في حين يستغرق الطريق منها إلى المطار حوالي 20 دقيقة. يضفي محيط الفندق اللطيف وقربه من اميرالد هيل, جنوب ملبرن, Seafarers Bridge سحراً خاصاً على هذا الفندق. إن الخدمات التي يقدمها Gem Apartments تضمن للنزلاء إقامة مريحة. لضمان راحة ضيوفه، يقدم الفندق الخدمات التالية: خدمة الغرف على مدار الساعة, واي فاي مجاني في جميع الغرف, مرافق مخصصة لذوي الاحتياجات الخاصة, تسجيل وصول/خروج سريع, تخزين الأمتعة . لقد جهزت هذه الإقامة الفندقية بعناية فائقة لتوفر مستوى عالي من الراحة. في بعض الغرف يجد النزيل تلفزيون بشاشة مسطحة, سجاد, قهوة فورية مجانية, شاي مجاني, بياضات. يقدم الفندق مجموعة واسعة من وسائل الراحة المتنوعة، كمثل: مركز للياقة البدنية, حمام سباحة داخلي. إن Gem Apartments هو خيارك لخدمة الفنادق الراقية في ملبورن. Fantastic place to stay with young children. Tram right out the front to head into the cbd or to the zoo or St Kilda. Very close to the aquarium. You do hear noise on the 7th floor but very minimal, didn’t wake the kids... would recommend to stay here. Didn’t use the pool or gym but looked amazing. Apartment 2502 (25th floor) had great views, was clean and had everything we needed. So handy to the city that we walked everywhere and left our car in the assigned parking space in the building. I stayed at the Gem apartments as I was attending a convention at the exhibition center. 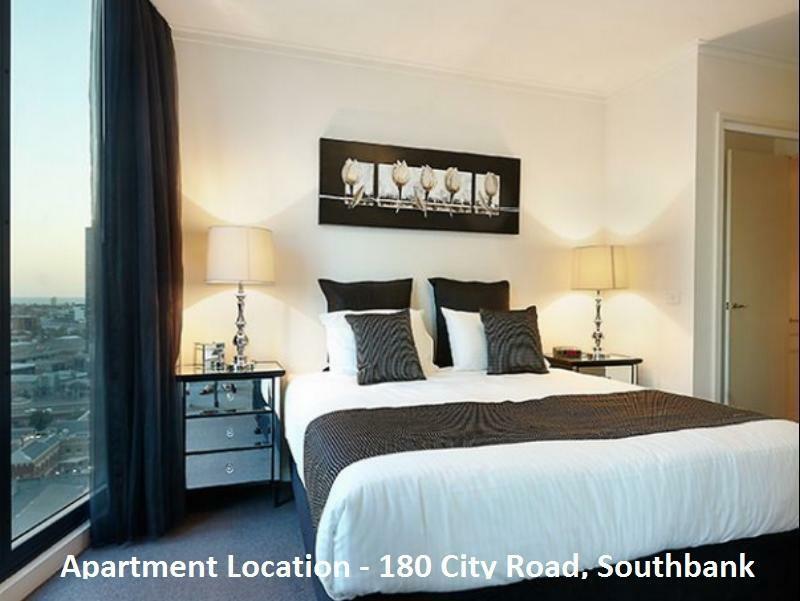 Very convenient location - close to all restaurants, tram stops and within walking distance to everything. A convenience IGA is directly downstairs from the apartments open from 7am - til midnight with just about anything that you need. 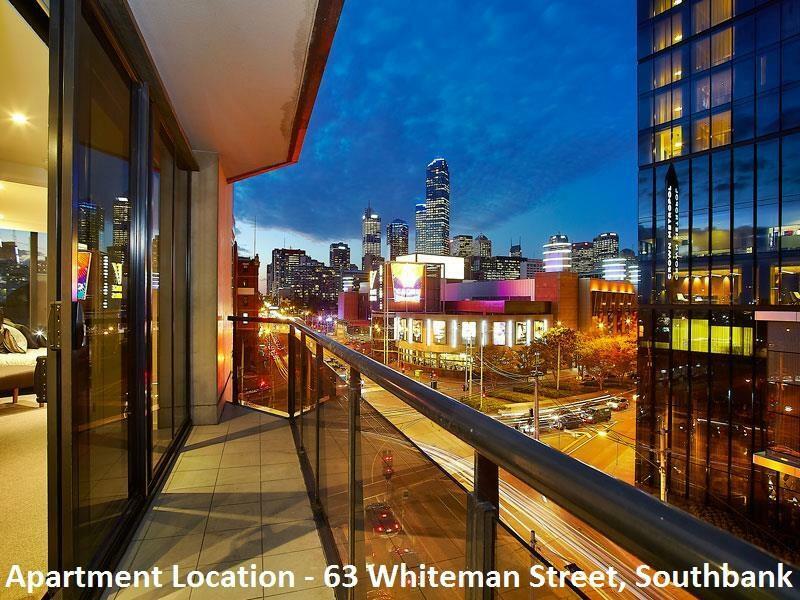 Walking distance to Crown Casino. Spacious place. Very helpful staff, always gives solution to our problem. Would definitely stay again. Quiet, conveniently located near Casino for shopping and food. Spacious and comfortable. Pros. Spacious. Wonderful views. Enjoyed the pool and fitness centre. Wonderful proximity to tramlines. 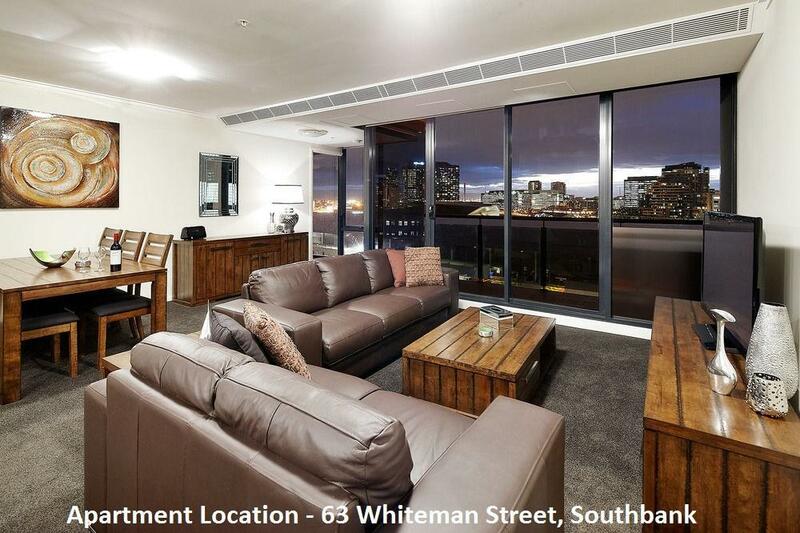 Pros: Good location, just next to Crown Casino Cons: Dirty, dirty and dirty. Stains on bedsheets, Kitchen floor, and Countertop. Cleaners thrown all the dirty bedlinens and pillow cases in the wardrobes, gross! Asked for clean pillow cases and one of the pillow cases sent by cleaners got blueberry jam on it :( Seriously, you guys really have to work on the cleaniness. Definitely would not recommend and would not stay again. 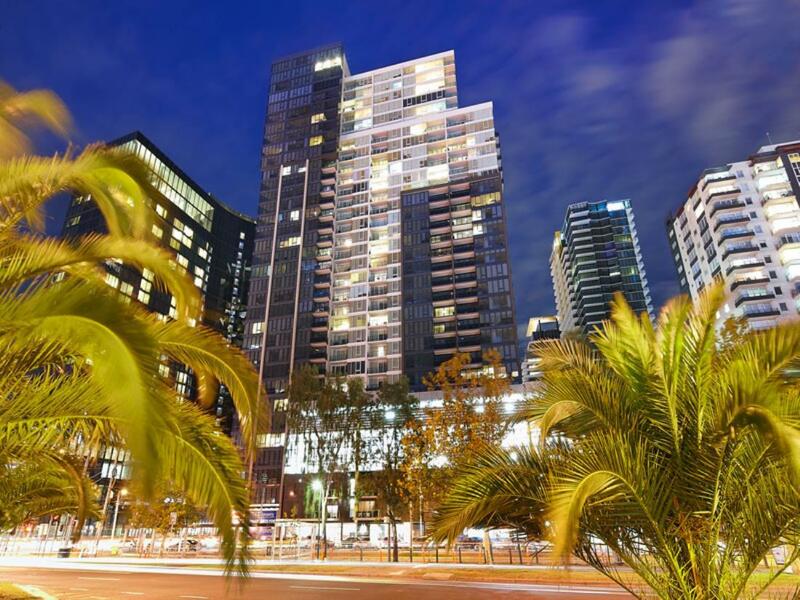 Walking distance to everywhere - DFO, Casino with 24 hours food court, supermarket at ground floor, 1 to 2 stops away from Free Zone tram ride, and tour pick-up at nearby hotel (Crown Metropol which is about 2 minutes walk). And it's a super clean apartment! My family of five spent five nights in a three-room apartment across Crown complex. The apartment size and location are just fantastic, within walking distance to the tram stops to explore the city during the days and entertainment complex to spend our nights and have dinner. Lots of towels for us to use and the washing machine and dryer were great for long holidays. Cutlery and wine glasses were good but the utensils can be better. Parking lot is free and aircon/heater worked well. Will stay again! Very good location. Apartment is clean. The location is great. 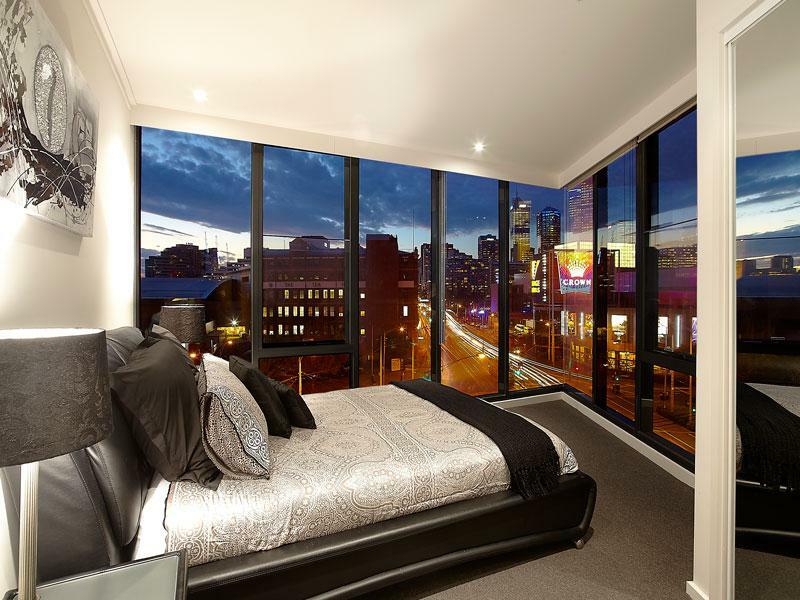 The apartment is large, well appointed and has a great view. The facilities are very good indeed. The one concern would be the difficult check-in procedure. Very challenging indeed and if you have a car take notice of the instructions. They would be better served by have written instructions with pictures. Great stay and I would stay again. It would be a lot easier now I know the procedure. Was here with my parents in a 6-person group. 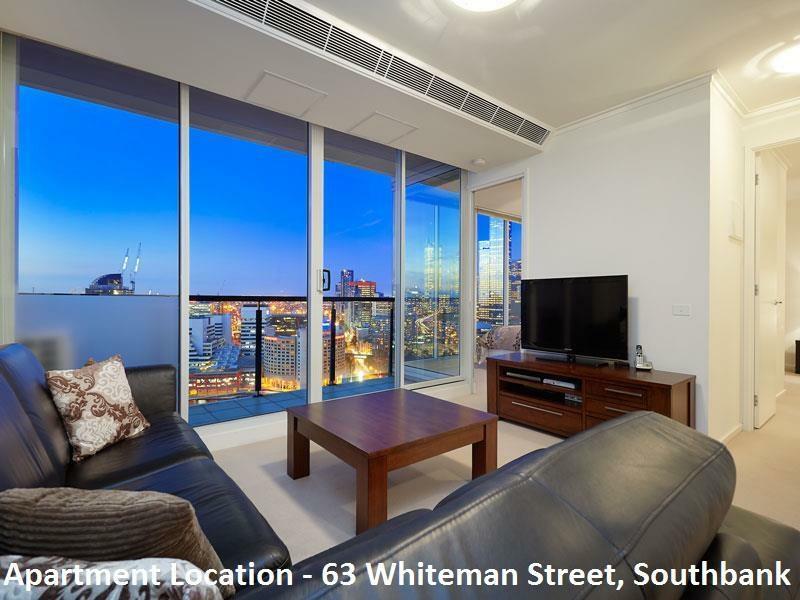 Very clean and tidy apartment with great city view. Ideal for family bonding during trip. Lovely apartments - conveniently located, very clean and spacious. Nice view from the balcony. Please give some time for the staffs to reach the apartment to hand you the keys - communication would be important, as you might have to wait slightly by the side of the road. 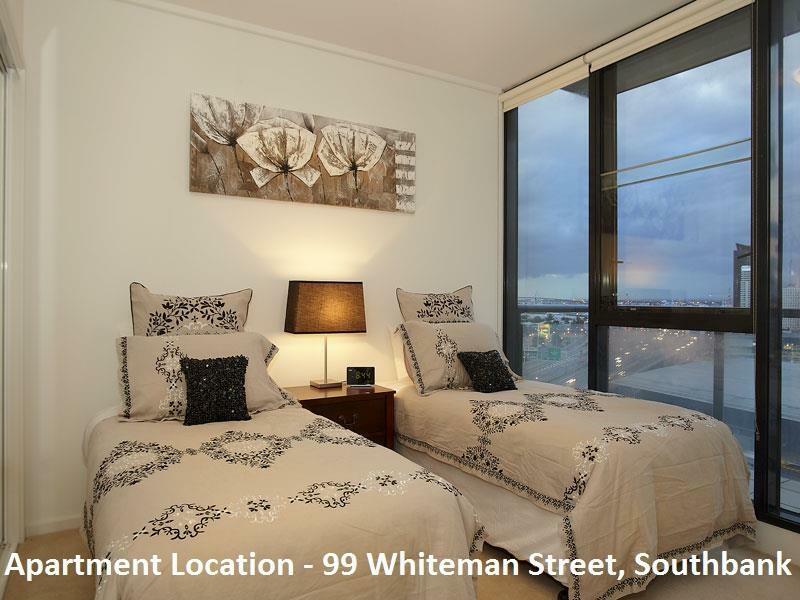 Great location with amenities close by and tram stop virtually at door to take you into the City. Apartment was quite spacious and well laid out. This apartment is great.. very clean.. i came with the group, 5 persons, but actually it fitted for 6-7 persons.. not far from the apartment, there's a car rent for tourist.. so this apartment is really recommended.. strategic location, and surrounding by the city view..
1. We have to call the consultants to give us the key, but the consultants arrived late and we have to wait in the lobby for about 10 minutes. 2. One of the doors of the bedroom was out of function. 3. The air-conditioner is so high-tech that it takes almost 1 hour for turning its on. The consultant should turn this on for us. 4. We have trouble in storing the luggage temporarily at where we live after check-out. It would be better if temporarily storage of luggage at the apartment could be provided. Love the location. Crown Casino is just across the road. Yarra River and DFO South Wharf is walking distance away. South Melbourne Market is 3 minutes drive away (2hrs free parking on market days!). 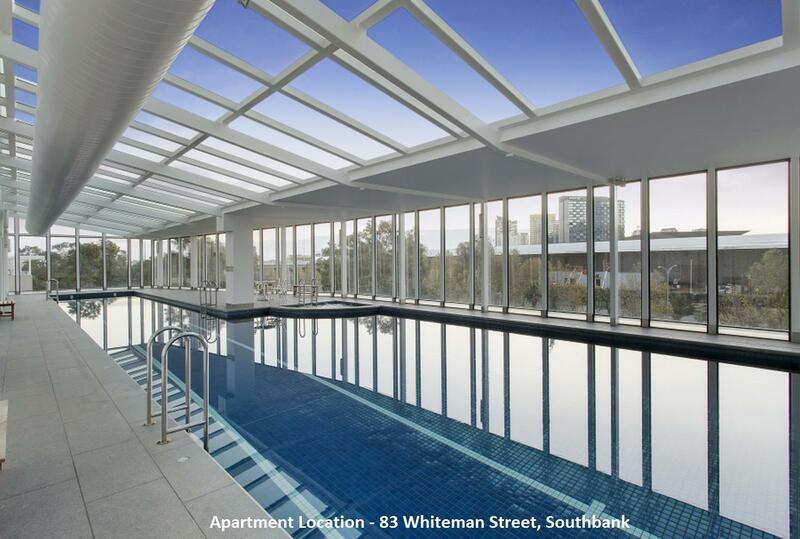 Theres also a gym and swimming pool in the building. 1 Free carpark lot for our stay. And we love it that our 3bedroom has 2 reasonably huge bathrooms. The living room is also big enough for the 2yo to play around. We also love the classy interior n glass windows (which means colder in the house during winter). The baby love to watch trams from the window. The staff who gave us the keys (Fiona) was really friendly and warm to us. Answers all questions we had. The apartment is also self sufficient with cooking utensils , pans, big fridge, washing machines,hair dryer - everything.no slippers , so bring your own or i had my socks on the entire time in the house (since i brought a few pairs and i could easily wash n dry them). And we cook on many nights! We (6adults, 1 infant) really loved the stay.